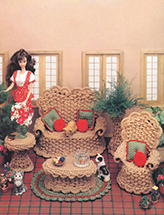 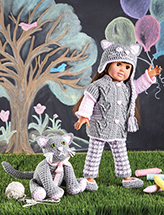 Created especially for Fashion Dolls, this 14-piece crochet bedroom is a dream come true! 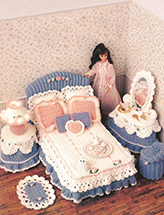 A bed, pillows, bed tray, rug, vanity table, chair, mirror, night table and plant holder with fern are included in this pretty bedroom set. 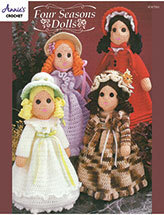 Each design is made using #4 worsted-weight yarn and embellished with ribbons. 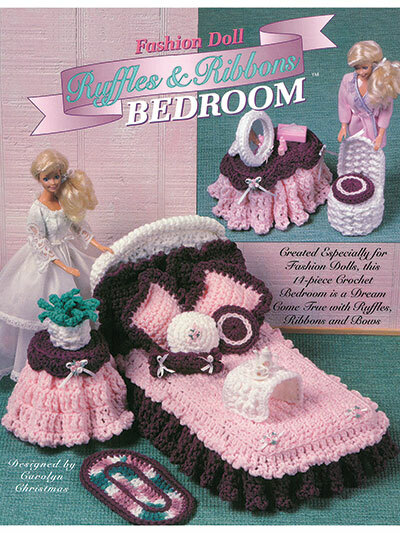 Designed to fit an 11" fashion doll.